How do you keep things interesting at your workplace? 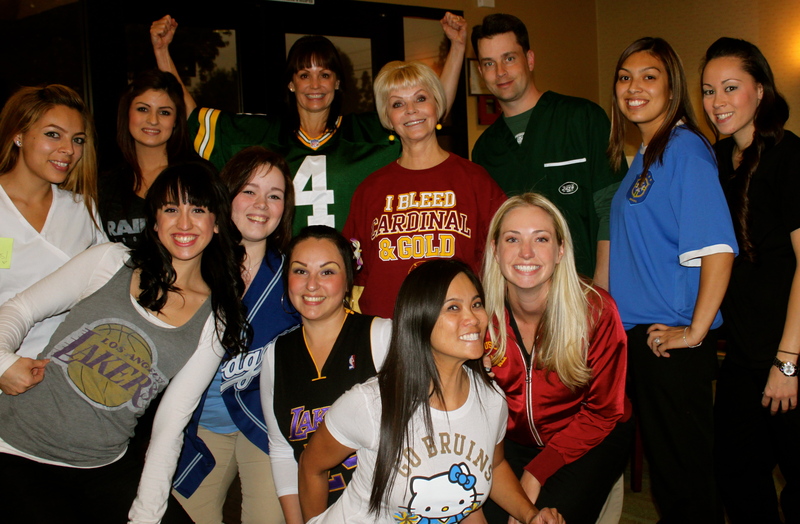 We decided to add a little excitement into our Monday by having a “represent your favorite sports team day”. We already do a fair amount of trash talking after the weekend so we thought it was only appropriate. is that a Raiders fan hiding back there? This entry was posted on Tuesday, November 8th, 2011 at 4:30 pm	and is filed under Office Life. You can follow any responses to this entry through the RSS 2.0 feed. You can leave a response, or trackback from your own site.